The Silent Cries is a compilation of stories of Nepali women who have found healing in the midst of suffering. Written by Rama Basnet, the Director of Community Service Academy Nepal (COSAN), Asian Aid?s partner in Nepal, the book is dedicated to Nepali women who have found hope after suffering in silence. This book is also a tribute to those ? in Nepal and abroad ? who have gifted ?second life? to thousands of women in Nepal, and has been published in Nepal by COSAN as an educational resource for girls, women and communities. ?Working with hundreds of innocent women, and listening to the stories of their hidden pain, agony and punishment for a crime they did not commit, has been a life changing experience for me,? says Rama. ?Here I share a few such stories out of the thousands of silent cries from the lonely valleys of Nepal.? ?With help from Asian Aid supporters, COSAN has been reaching out to women facing this unspoken illness for over 15 years. Download your?free copy of?The Silent Cries?e-book here?or Support our Health Program here. FAQ -?What is Asian Aid doing to prevent Uterine Prolapse? While curative measures ? such as pessary rings or surgery ? are important for those suffering with Uterine Prolapse (UP), we believe that prevention is a critical aspect of our Women?s Health project. We can help prevent this condition by helping women and families understand the causes of UP. To do this, our partners, COSAN and CAED, run locally developed educational and awareness programs in schools and villages about the prevention, causes and effects of UP. 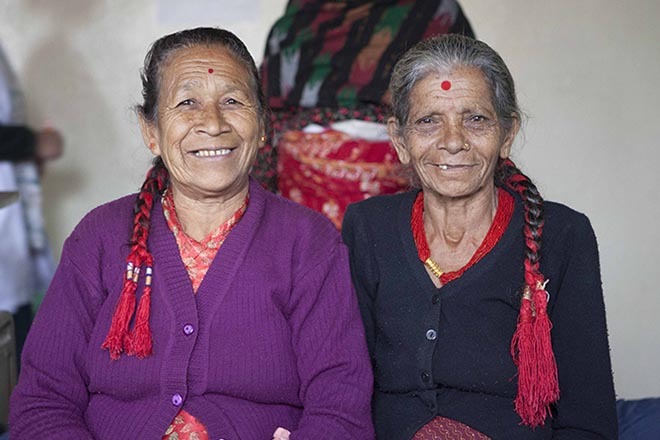 If you are touched by the stories in?The Silent Cries?and the work of our Women’s Health Project in Nepal, please consider?donating to our Health Program.